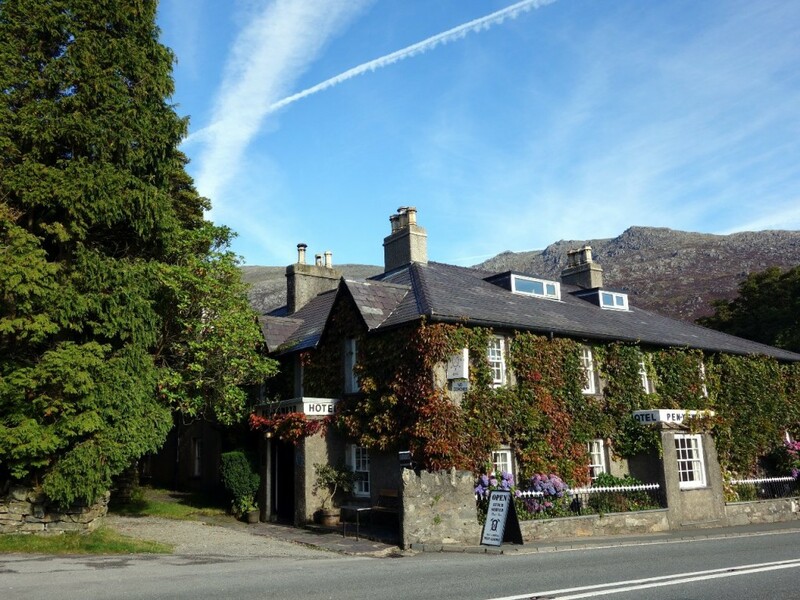 Earlier this month I completed a long-held ambition, when I stayed at the Pen-y-Gwryd Hotel, at the foot of the Pen-y-Pass on the flanks of Snowdon, the highest peak in England and Wales. Staying for a couple of nights in a hotel may not sound like much of an achievement, but this one is extra special. Trapped in a time warp, its stone walls are hung with ivy, the floor boards creak, the fittings could grace a BBC period drama, and there are no phones or TV in the rooms. Breakfast and dinner are announced by the blast of a gong, and woe betide any guests sneaking into the dining room before it sounds. 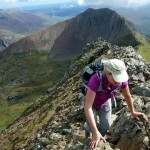 The Pen-y-Gwryd stands in an ideal location for Snowdon’s eastern ascent routes. It’s just a twenty minute walk up a footpath to the car park at Pen-y-Pass, the starting point for four of Snowdon’s most popular routes, the Miners Track, the Pyg Track, and the Crib Goch and Y Lliwedd Routes. Some even believe the unusual spelling of Pyg Track is derived from the initials P-Y-G of the Pen-y-Gwryd Hotel. But what makes the Pen-y-Gwryd truly unique are its associations with Everest, which ooze from every nook and cranny, and are written large across every square inch of oak panelling. The Pen-y-Gwryd’s Everest associations ooze from every nook and cranny. Here we have the first New Zealander, first Sherpa, and first Lithuanian woman to climb Everest all in the same room. Built in 1810, the building was originally a farmhouse, and was expanded into a hotel later in the 19th century. One of Britain’s longest-surviving climbing clubs, The Climbers Club (you don’t say) was founded at the Pen-y-Gwryd in 1898, and in 1953 it was home to the British Everest team as they trained and tested equipment for their expedition. They tested Tom Bourdillon’s closed-circuit oxygen apparatus on the slopes of Y Lliwedd, one of Snowdon’s satellite peaks. In his book View from the Summit, Sir Edmund Hillary has a funny story about a party at the Pen-y-Gwryd, organised by the Alpine Club to celebrate their successful first ascent of Everest. Fresh from becoming the first man to stand on top of the world, Hillary arrived at the hotel late, to learn the rest of his party had set off for a hike up Snowdon. He set off after them without bothering to change into something more appropriate. On the way up he was waylaid by a distinguished old gentlemen who gave him a severe ticking off about his attire, which he said gave hill walkers and climbers a bad name. The man turned out to to be the President of the Alpine Club, and Hillary described their handshake as a little “limp-wristed” when they were introduced in the bar of the Pen-y-Gwryd later that evening. Another Pen-y-Gwryd legend took place on the eve of Queen Elizabeth II’s coronation, when word reached the The Times newspaper that Everest had just been climbed for the first time by a British team. Pen-y-Gwryd landlord Chris Briggs received the news by phone at 1am in the morning, and proceeded to wake up all his guests, telling them if they didn’t meet downstairs in the bar in ten minutes for a glass of champagne they would be thrown out of the hotel. The 1953 Everest team met regularly in the Pen-y-Gwryd for reunions, right up until the 60th anniversary celebrations in 2013. The Times correspondent Jan Morris is now the sole surviving team member. Items of memorabilia from the 1953 expedition line walls and cabinets in the hotel, and there are many signed photographs, and one signed ceiling. 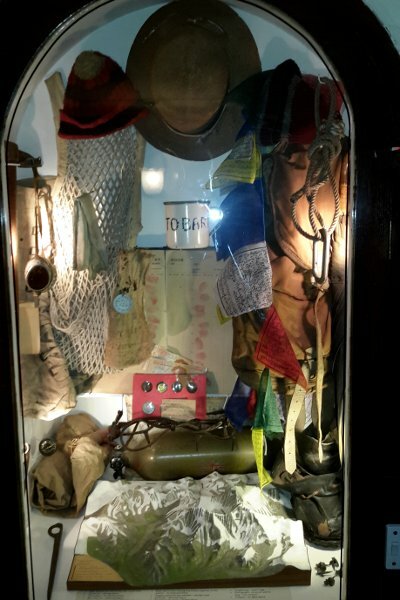 The paraphernalia includes the rope that was used to link Tenzing and Hillary on the summit (or so we’re told, though I did raise my eyebrows when I saw it), an oxygen cylinder, Mike Ward’s crampon, expedition leader John Hunt’s string vest (for those of you who are not ashamed of donating your boxer shorts to your porters after a trek), Alf Gregory’s boots, Mike Westmacott’s rucksack, Wilfrid Noyce’s carabiner, and Tom Stobart’s tin mug. 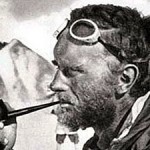 There are little bits of rock from the summit of Everest and the world’s third highest mountain Kangchenjunga, which Everest team member George Band made the first ascent of in 1955. Although the hotel is also a pub, and you can just wander in for a drink if you’re passing by, most of the more interesting artefacts are in the residents’ bars. They kindly let me into one of them for a sneaky peek when I dropped by for a drink a few years ago, when we were the only people there, but normally you need to be a hotel guest to have access to this treasure trove. The hotel’s quaint, old-fashioned character would not be everyone’s cup of tea, but it’s a very friendly place, and if you’re an Everest aficionado then it’s a must at least once in your life. This was my first time there as a guest, but hopefully it won’t be the last. You can see more of my Pen-y-Gwryd photos on p.3 of my 2015 Flickr album. 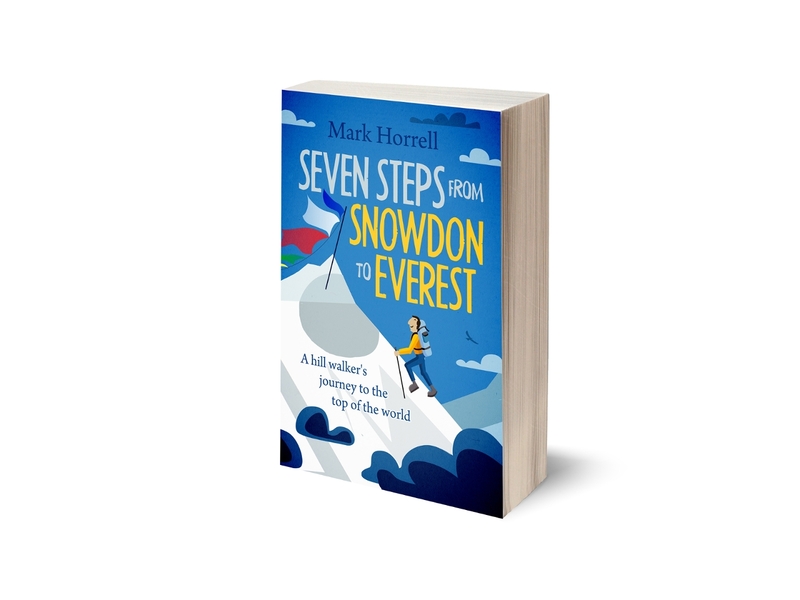 My book Seven Steps from Snowdon to Everest, about my own ten-year journey from hill walker to Everest climber, is available now half price for pre-order from Amazon and iTunes. The bucket list grows again! Thanks Mark. I stayed there once! Sad to say, it was before I developed much of an interest in following climbing, and so though I saw all the paraphernalia, I didn’t take much notice of it. My cricket team of the time stayed there when we were on a short tour of the region. I remember good beer, creaky stairs – that gong and the “don’t come in to eat until we tell you”. Our Saturday match was cancelled for some reason, so we all did what you do, and trooped up Snowdon! 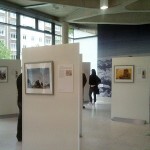 Would love to go back now, having read so much about Everest (including ‘Seven steps….’! 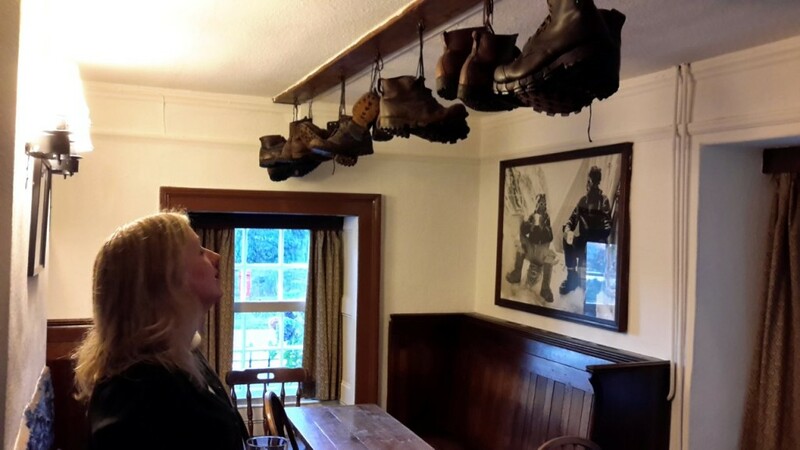 When staying in Beddgellert Wales after rambling around three parts of The UK……. Wales, the Lake District, and West Yorkshire…. 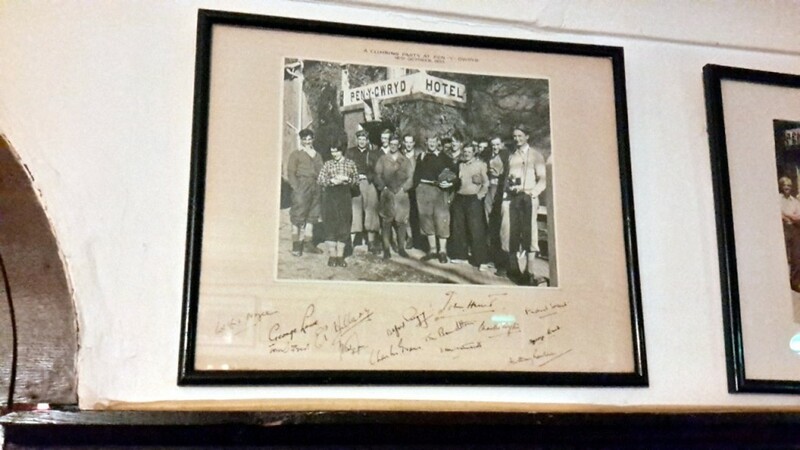 we went to visit the pub/hotel one day and were interested to see all the memorabilia and artifacts. Now that PBS is featuring the Sir Edmund Hillary saga, it becomes even more interesting. My daughter lives in the Snowdonia highlands and I love the lanes and Villages.